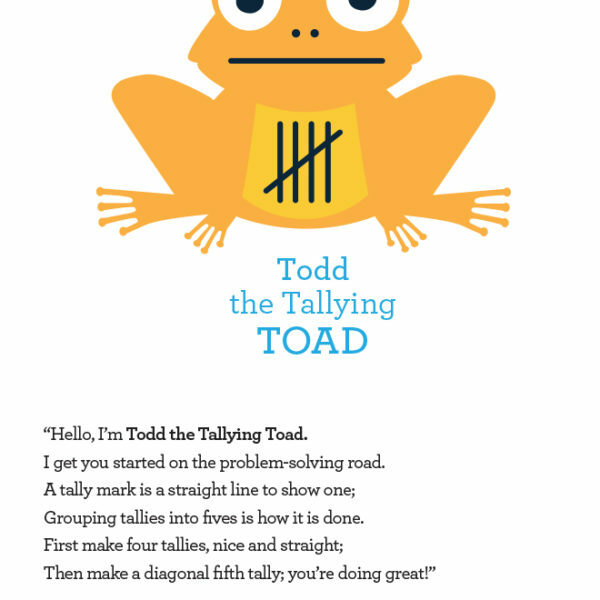 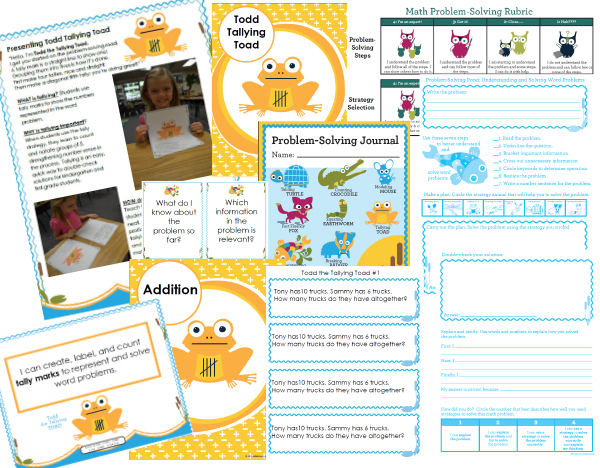 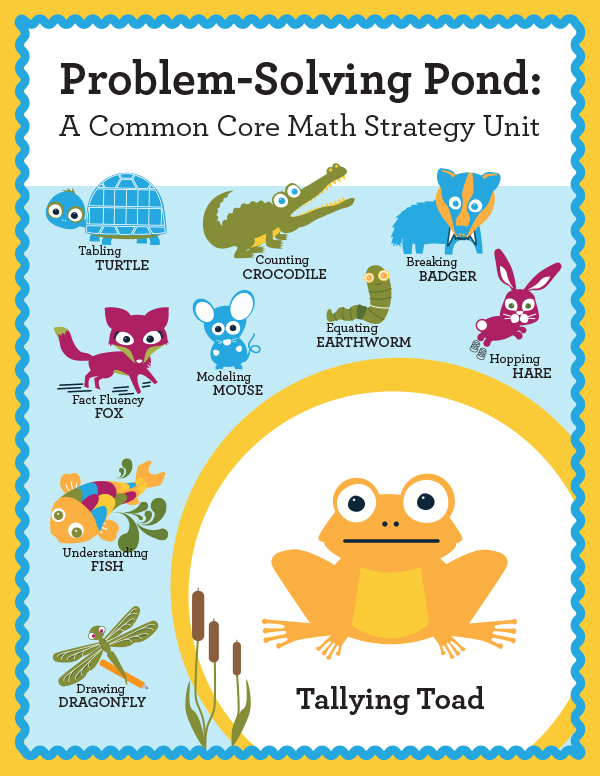 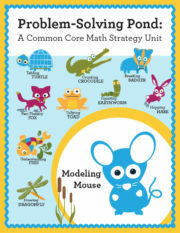 Todd the Tallying Toad is a strategy animal in the Problem-Solving Pond series. 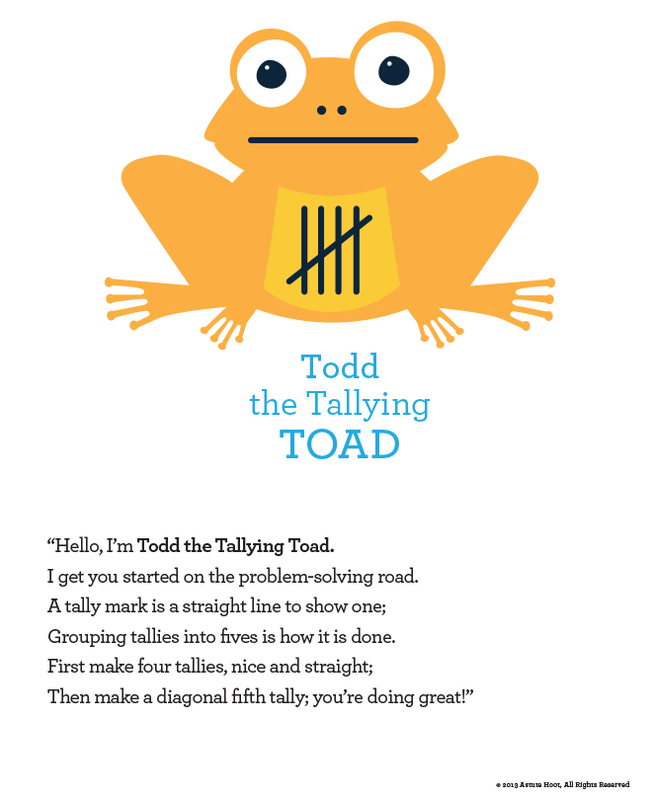 Todd uses a special rhyming poem to teach students how to use the tally strategy to solve word problems. 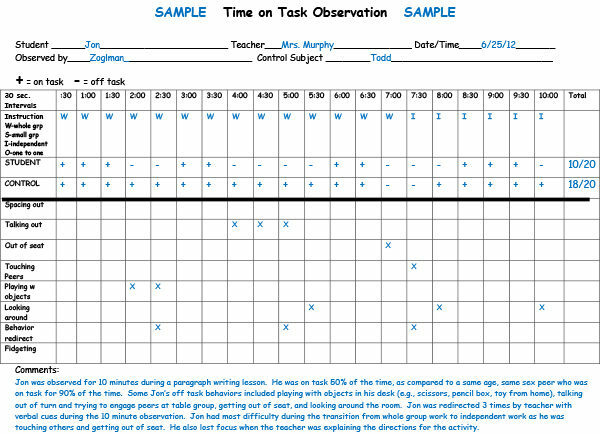 When students use the tally strategy, they learn to count and notate groups of 5, strengthening number sense in the process. 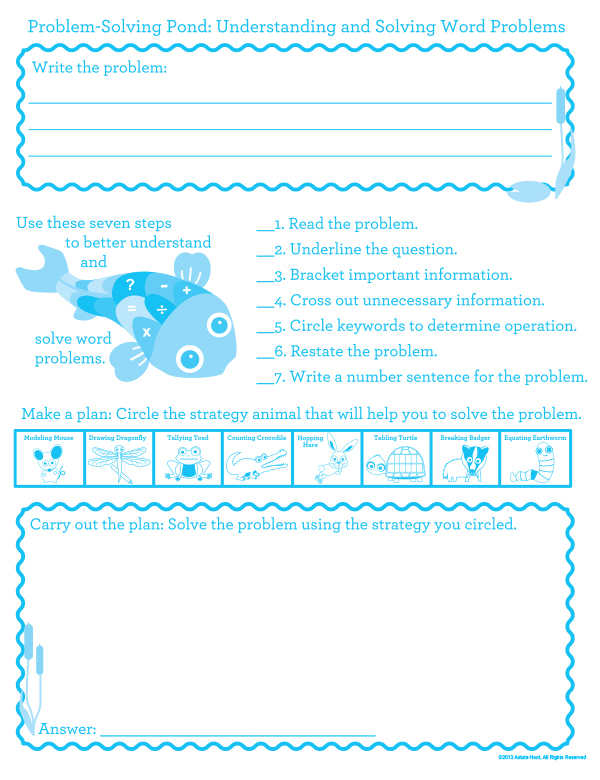 Tallying is an easy, quick way to double-check solutions for beginning mathematicians. 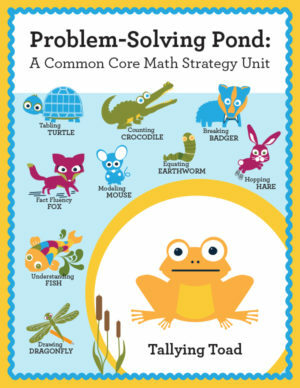 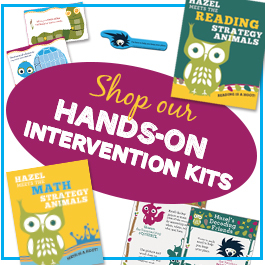 Tagged as common core math, intervention, math intervention, math problem-solving, tallying, Todd the Tallying Toad.